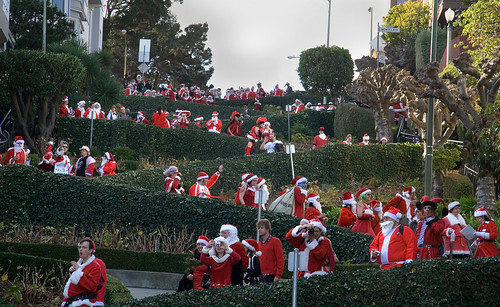 Santacon 2009 events are currently being planned around the world this December as Christmas approaches. Over on santarchy.com I’ve been actively tracking the cities currently being targeted for Santarchy invasions. To get a better idea of what Santarchy is all about, here’s my 40 minute documentary on the 1996 Santacon in Portland “You’d Better Watch Out: Portland Santacon ’96”.